Classic Victorian styling with subtle corner accents, the Romanesque jetted tub provides romance and style to accompany any bathroom design. 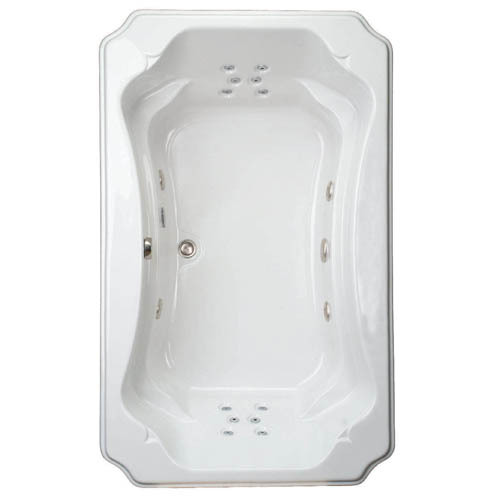 The sixteen jet hydro-massage system composed of the Hydro-V™ back jets and four body gives your body full hydro-therapy coverage for an invigorating spa bath experience. 68" x 42" x 22"
Dimensions: 68" x 42" x 22"